Many materials are available for use in blocking the ram and upper die of a press. However, 6061-T6 or T651 aluminum offers much higher extruded strength per cubic inch of material than other known press safety block materials on the market such as magnesium. When static load capacity of material is compared, aluminum becomes the clear choice. NOTE: This is a customized product and is not returnable. Please contact us if you have any questions regarding the suitability of this product to your application. There is a 2-3 Day Lead Time after receipt of order. Choose between 10" - 10.75" Heavy-Weight Overall-Fixed Length Safety Block. 125 Ton Maximum Sta.. Choose between 11" - 11.75" Heavy-Weight Overall-Fixed Length Safety Block. 125 Ton Maximum Sta.. Choose between 12" - 12.75" Heavy-Weight Overall-Fixed Length Safety Block. 125 Ton Maximum Sta.. Choose between 13" - 13.75" Heavy-Weight Overall-Fixed Length Safety Block. 125 Ton Maximum Sta.. Choose between 14" - 14.75" Heavy-Weight Overall-Fixed Length Safety Block. 125 Ton Maximum Sta.. Choose between 15" - 15.75" Heavy-Weight Overall-Fixed Length Safety Block. 125 Ton Maximum Sta.. Choose between 16" - 16.75" Heavy-Weight Overall-Fixed Length Safety Block. 125 Ton Maximum Sta.. Choose between 17" - 17.75" Heavy-Weight Overall-Fixed Length Safety Block. 125 Ton Maximum Sta.. Choose between 18" - 18.75" Heavy-Weight Overall-Fixed Length Safety Block. 125 Ton Maximum Sta.. Choose between 19" - 19.75" Heavy-Weight Overall-Fixed Length Safety Block. 125 Ton Maximum Sta.. Choose between 20" - 20.75" Heavy-Weight Overall-Fixed Length Safety Block. 125 Ton Maximum Sta.. Choose between 21" - 21.75" Heavy-Weight Overall-Fixed Length Safety Block. 115 Ton Maximum Sta.. Choose between 22" - 22.75" Heavy-Weight Overall-Fixed Length Safety Block. 115 Ton Maximum Sta.. Choose between 23" - 23.75" Heavy-Weight Overall-Fixed Length Safety Block. 115 Ton Maximum Sta.. Choose between 24" - 24.75" Heavy-Weight Overall-Fixed Length Safety Block. 115 Ton Maximum Sta.. Choose between 25" - 25.75" Heavy-Weight Overall-Fixed Length Safety Block. 115 Ton Maximum Sta.. Choose between 26" - 26.75" Heavy-Weight Overall-Fixed Length Safety Block. 115 Ton Maximum Sta.. Choose between 27" - 27.75" Heavy-Weight Overall-Fixed Length Safety Block. 115 Ton Maximum Sta.. Choose between 28" - 28.75" Heavy-Weight Overall-Fixed Length Safety Block. 115 Ton Maximum Sta.. Choose between 29" - 29.75" Heavy-Weight Overall-Fixed Length Safety Block. 115 Ton Maximum Sta.. 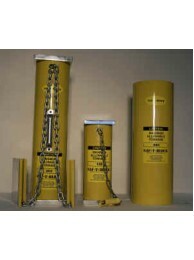 Choose between 30" - 30.75" Heavy-Weight Overall-Fixed Length Safety Block. 115 Ton Maximum Sta.. Choose between 31" - 31.75" Heavy-Weight Overall-Fixed Length Safety Block. 115 Ton Maximum Sta.. Choose between 32" - 32.75" Heavy-Weight Overall-Fixed Length Safety Block. 115 Ton Maximum Sta.. Choose between 33" - 33.75" Heavy-Weight Overall-Fixed Length Safety Block. 115 Ton Maximum Sta.. Choose between 34" - 34.75" Heavy-Weight Overall-Fixed Length Safety Block. 115 Ton Maximum Sta..